Kim McKay, AO, environmental campaigner & author; Co-founder Clean Up Australia & Clean Up the World. ‘John’s words and images drew them into his world and inspired each person to care deeply about this world we share…..
Suzanne Starr Art Educator and North Stonington Education Board Member Connecticut USA. “Dahlsen will be an asset to any visual arts lecture circuit he participates in, especially as an Australian artist bringing his unique story to an international stage. Dee Tipping FEHVA visual arts festival 2004-2008. “He is a dynamic and riveting speaker who instinctively knows how to reach his audience. His presentation of his work was humorous, insightful, and powerful. Those who attended spoke about their positive responses long after he left. Alice Wexler, Ed.D. Associate Professor SUNY New Paltz New York. ‘John Dahlsen embodies the spirit of all Australians who love our coastline. His contemporary work is the very core of what makes ‘Clean Up’ an important community event in our nation. Ian Kiernan, AO, Chairman and Founder Clean Up Australia & Clean Up The World. Brett Adlington, Curator, Exhibitions and Collections. Gold Coast City Art Gallery QLD. ‘Contemporary Landscapes’ his mammoth task – afforded him a freedom to demonstrate aesthetic possibilities which radiate vitality and joie de vivre, uncommon to most artists deeply conscious of environmental issues’. Review of ‘Contemporary Landscapes’ exhibition by the respected critic/artist and trustee of the Queensland Art Gallery, Catharina Hampson. ‘The successful artistic expression of an abstruse concept such as universality is difficult to achieve, but ultimately rewards both artist and viewer. It is what lies beyond the boundaries of abstraction and figuration that intrigues John Dahlsen and he has developed a unique visual language to articulate this. Sandra Murray: Director – Lawrence Wilson Art Gallery, University of Western Australia. ‘Few could have predicted that Australian artist John Dahlsen would have transitioned from representational painting to abstract painting and finally, for the last decade, to found object work — not even the artist himself. Kim Hall, Florida artist – Editor New York Art Calendar Magazine. ‘Your work has had a profound effect on me since I discovered it for the first time at the Powerhouse Museum in Sydney 3 years ago. ‘The saying goes “ I don’t know much about art, but I know what I like. In my case, I don’t know much about art and I don’t know what I like”. But in John’s case I do. I think it is one of the most original forms of Australian art that I’ve ever seen and it gives me a great deal of pleasure, if it needs any sort of endorsement, to add to it by telling people, it’s art well worth viewing, well worth buying, well worth hanging. I think we are going to hear a lot more about John Dahlsen, whether it’s as an artist or an assembler or whatever form he takes in his next artistic stage. I’m quite sure we are going to be able to enjoy his work for a long long time. I think he is an artist of considerable note already and whose recognition is going to become greater and greater as the years go by’. George Negus. Officially opening John Dahlsen’s exhibition “New Assemblages and Prints” in Coffs Harbour Australia. Dr. John Dahlsen is an established professional and an expert in his given field, being a notable environmental artist, educator and speaker. He delivers these seminars with a talk on environmental art with images of his own work spanning 30 years and elaborates on the transformative possibilities he shows by example in his work. He delivers these seminars for various timeframes, from 30 minutes to one and a half hours, depending on the target audience. Depending on the length andthe exact nature of the presentation, this can amount to anywhere between 50 to 100 images, followed by a question and answer discussion. During image projections, John focus’s on the visuals of around eight main aspects of this environmental artwork. He encourages audience participation in the form of question and answers in all of his speeches. Dr. John Dahlsen is a renowned contemporary environmental artist and public speaker based in Byron Bay Australia. John was educated at the Victorian College of the Arts and the Melbourne College of Advanced Education. He exhibits regularly in Australian capital cities, throughout regional Australia, and internationally in Europe and the US, where he shows regularly in New York. He won Australia’s oldest art award, the prestigious Wynne Prize, at the Art Gallery of NSW in 2000 and was again a finalist in 2003 and 2004. In 2006 he was also a finalist in the Sulman Award at the Art Gallery of NSW. He was runner up in “The Signature Of Sydney Prize” in 2006 and won a prestigious award for mixed media/new media at the Florence Biennale of Contemporary Art in 2003. John has lectured at various universities and secondary schools from 1980 – 2017. He has been an invited speaker at architectural and environmental symposiums in Australia and internationally, including at the Australian Embassy in Washington DC, which coincided with an exhibition of his work there in 1999. In 2004, John became the first Australian artist, (he joins such renowned artists as Andy Warhol, Keith Haring, Francesco Clemente and Damien Hirst) to be commissioned by global vodka producer Absolut, to create a major public artwork “Absolut Dahlsen”. In 2005, he curated as well as participated in an exhibition at the Samuel Dorsky Museum, in New York State in the USA; he also took up an artist in residence position in Jefferson City Missouri, USA in September 2005, where he made a public artwork for their sculpture walk. 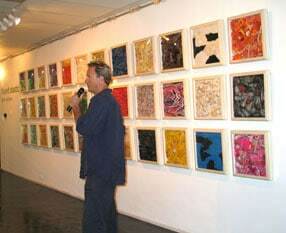 In November/December 2007 John’s work was exhibited in New York in an exhibition titled “Ecological Integrity / On The Brink”. 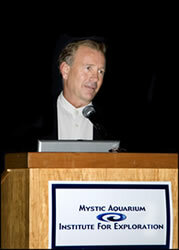 John gave a keynote speech and exhibited his work in Connecticut USA in March 2008, where he was an invited guest of the North Stonington Education Foundation, to work with students and to deliver a lecture at Mystic Aquarium and Institute for Exploration Mystic Connecticut USA. He was a cultural ambassador for Australia, when he exhibited his work at the Athens Olympics of Visual Arts Exhibition in 2004 during the Olympics. John is represented by major public and private collections in Australia, Europe, the USA and Japan. In September 2008 he exhibited at the Jenolan Caves Trust NSW, in the “Treasures of Seeds” Exhibition. Supporting the Global Crop Diversity Trust. In August/September 2009, he exhibited again with the “Treasures of Seeds” Exhibition at the CSIRO in Canberra. John is represented by major public and private collections across Australia, he is also in many International collections in Europe, USA, China and Japan. He and his art has been written about in all the major newspapers and many magazines in the form of critiques and as articles and pictorials. Radio, television and the internet, frequently interview him about exhibitions and his work as a contemporary environmental artist. In July 2010, he won the Peoples Choice Award in the ArtsCape Biennial Sculpture Exhibition. Byron Bay, NSW Australia. Exhibited in The Art of Sound Caboolture Regional Art Gallery in 2013. 2015/16 Received an Australian Postgraduate Award (APA). Charles Darwin University. 2015/16 Awarded the Nancy (Nan) Giese Doctoral Scholarship in the Arts. Charles Darwin University. 2015 – The Power of Research Conference Presentation November 9 – 11 2015 Charles Darwin University. 2003 – Coffs Harbour Regional Art Gallery Invitation Panel. 1990 – 2011 Lectured and appeared at various Australian and International secondary and tertiary institutions as well as giving artist talks in Australian Regional Galleries as an invited artist. One is a recent interview and survey of his work, tracing the past 10 years or so and runs for approximately 10 minutes. See here. Another, which documents the production of his well known Absolut commission. This DVD runs for 30 minutes and is sometimes shown in segments. He has another DVD which is a 6 part presentation of various aspects of his work. T itled “Renewed” this is also presented if time permits, in small segments. John Dahlsen has faced numerous obstacles during his extraordinary life and in this very personal speech he talks candidly about some of his biggest challenges…. John Dahlsen says that on the first day of his discovery of working with environmental issues in his work, it was as if all doors suddenly swung open…. Success is the most sought-after necessity of individuals and organizations. 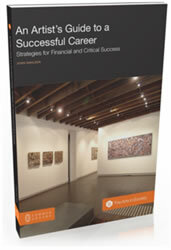 John’s personal story about his own success in the unlikely field of art is an example for us all. 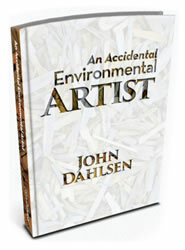 John Dahlsen is an environmental artist, educator and workshop facilitator. He is an active international contributor to the arts, education and business fields through his motivational talks.